Living in Victoria isn't always cheap, but luckily our gem of a city does offer tons of free (or really cheap) things to do with kids that are still fun and exciting. Victoria has some amazing local businesses, and my kids have had a blast at places like PlayZone, the museums, or the Flying Trampoline Indoor Park (seriously, they can't get enough). I still like to work these into our repertoire of activities that we do, but as many parents would understand, it can really add up. As a Mom of 3 wonderfully active and energetic kiddos, I love finding places that get them just as excited as a giant indoor trampoline park, but that are free or really cheap. Gathering ideas for this list had us exploring Victoria like never before and had us appreciating the natural beauty that has always surrounded us, and led to some of my fondest family memories to date. 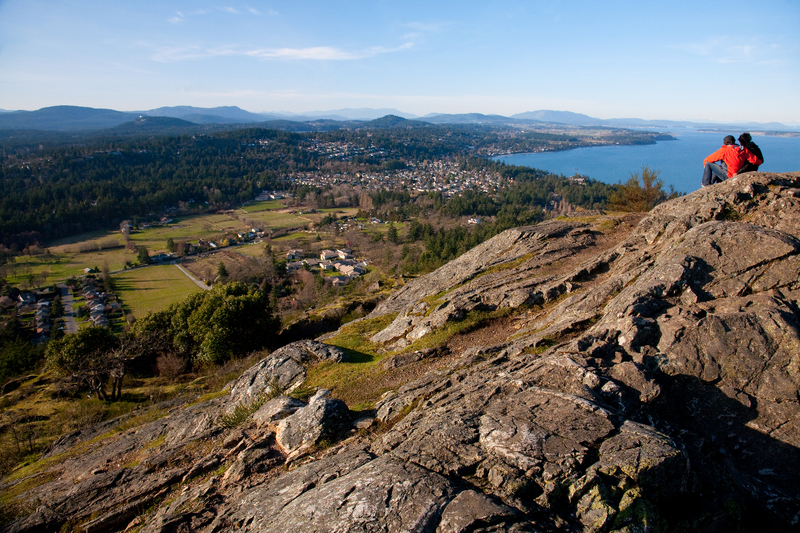 Beacon Hill Park is by far the most well-known park in Victoria and for a valid reason. Not only is it surrounded by unparalleled natural beauty but the park also features numerous playgrounds, free water park known as the Watering Can, sports fields, pesky peacocks, and even a free miniature golfing green that rarely is in use (located across from the petting zoo). Don't have clubs? If you're just wanting to have some fun, you can pick a few up for $1 at a local thrift store. The Petting Zoo is a local favourite for the goats, and entrance to this is by donation. 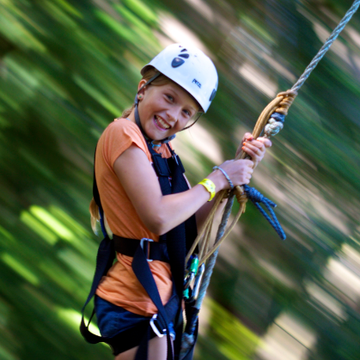 The park is an absolutely perfect spot year round to bring the entire family and great for any age. Note: attractions such as the Children’s Petting Zoo and Watering Garden are only open seasonally. I hate to say it, but I severely underestimated how fun a recreation centre is. For only $3.25 - $4.50 per kid (depending on age), the Saanich Commonwealth Place feels like an indoor water park! You can also score a family pass for $13.25 for up to 2 parent/guardians and 4 children, even if not related. If you've never been to Commonwealth, there's a shallow tot pool, a big wave pool that features a cool shipwreck, a 10 story waterslide, activity pool, competition pools, and diving boards ranging from 1 meter all the way up to 10 meters! And of course, your hot tub and sauna. If your family is keen on exploring some of the best trails on the Island and scoring an amazing view of the entire city then a trip to Mount Doug (as the locals call it) should be at the top of your to-do list. With loads of well marked trails, access to the beach and even washroom facilities this park has it all! We suggest packing a picnic lunch and spending the day. Tip: if you don’t have time for the full hike there is a full service road that will take you to the top of the hill. Another free activity to do with your kids (as long as they already own a bicycle and helmet) is taking a bike ride on the multi-use 55 km trail. (Don’t worry we are not suggesting riding the whole thing!) Going on a family bike ride along the Galloping Goose is a perfect way to stay active with the entire family. Perks of the ride include travelling past some of the sweetest scenery on the Island including hidden lakes, coves, marshland and urban back streets. Did you know that every Saturday morning at 11am, Cineplex shows a Family Favourite screening? The Odeon in Westshore is currently the only local theatre that participates, but still a great tidbit to know, especially on a dreary Saturday morning where you want to get out of the house. The movie changes weekly, from new favourites like Sing, Trolls, and Minions, to the classics like Space Jam. Here's the schedule. 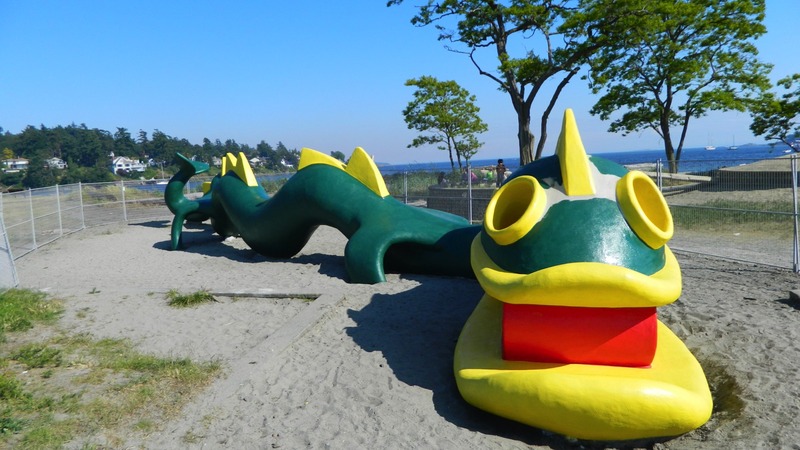 If you are not afraid of running into the ominous Cadborosaurus and want to take your kids to a truly one-of-a-kind ocean playground we highly recommend stopping by Cadboro-Gyro Park. This playground is one that is engrained in every Victorians memory, and thanks to recent renovations the park has all the nostalgic aspects plus features an awesome zipline, and it is more accessible for all ages and now includes wheelchair and scooter ramps. As a sweet bonus, you're right at one of Victoria's sandy beaches which gives endless opportunity for sand castle building, constructing a fort from driftwood, and you'll see lots of paddle boarders thanks to its calm nature. If you are new to Victoria or just want to expose your children to the funkiest village in town we recommend taking a trip to the Fisherman’s Wharf. Here you will be able to check out the Float Home Village, see the Harbour Ferries dropping off and picking up passengers & if you are lucky see an array of sea life (like seals!) beneath the docks. Many people know of the Vic West Skatepark, but it can be overrun with older kids and intimidating to my young ones. The new Sidney Skatepark was just completed in 2017 and the one time we went, we loved it! It's location is beautiful, and also has Tulista Park's playground nearby which is especially handy when you have a range in ages of your kids. 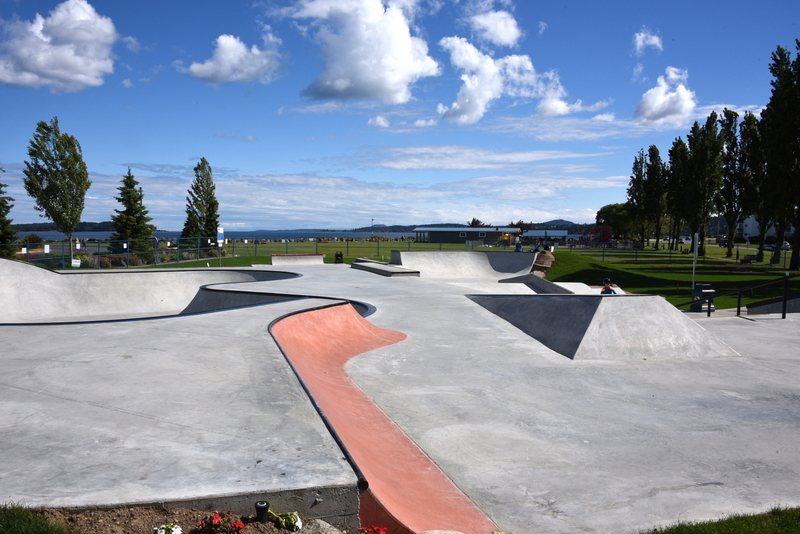 Photograph of the new Sidney skatepark by Tulista Park. We cannot think of a playground with a nicer view! For a fabulous free activity bring your kids to Willows Park. This developed waterfront park is complete with a play area, changing rooms, washrooms, picnic tables, sandy beach and large grassland area. Dogs are allowed year-round on the pathways and grassy areas but they must be leashed at all times. When's the perfect time to go? We'd have to say during the Oak Bay Tea Party which happens every year early June. There's a small midway and fair on the grass patch to raise money for many community projects, and the throughout Saturday and Sunday features fun free activities like a parade, air show, bathtub race, and always ends with a bang of fireworks! It's free to attend, but rides and food have a cost. #11. Find All the Items in the Free Downtown Scavenger Hunt "The Hands of Time"
Have you ever noticed any of the 12 bronze sculptures downtown that depict hands engaged in an activity? They are scattered along Victoria's waterfront, and waiting to be found! This was designed as a playful way to engage the young and old, while sparking an interest in Victoria's history and meaning. 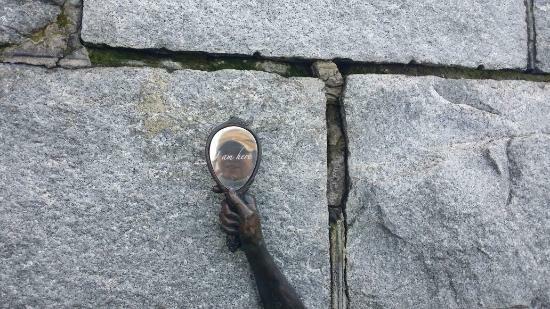 Located smack dab in in the Inner Harbour Causeway is a bronze map next to one of the clues, but you can get the map here too. This scavenger hunt will have you walking the Inner Harbour, Beacon Hill Park, the Songhee's Walkway, and through Canada's oldest China Town! It's a great way to explore downtown in a fun way and on the cheap.  Photograph of one of the 12 Hands of Time you'll spot on the hunt. If you haven't checked out this place yet, it is a must. It is the fanciest hot chocolate in town and feels like a mini Willy Wonka factory where you can see all the different dipping chocolates behind the glass and watch them make sweet creations. Located at 1010 Government St. The picturesque lighthouse at Fort Rodd Hill is a great spot to bring a picnic and let the kids play in the tide pools. Admission is only $2 for kids (free under 6) and $4 for adults, and then you'll get to explore the old Fort which has command posts, guardhouses, burracks, and three gun batteries. It's a perfect way to incorporate some history but ample room to run around and have fun. While you're there- make sure you drive a little further down the road after your visit and check out the Esquimalt Lagoon. A narrow road with a beach on each side and water all around! It's a fun spot to take a walk, especially if your kiddos love dogs. 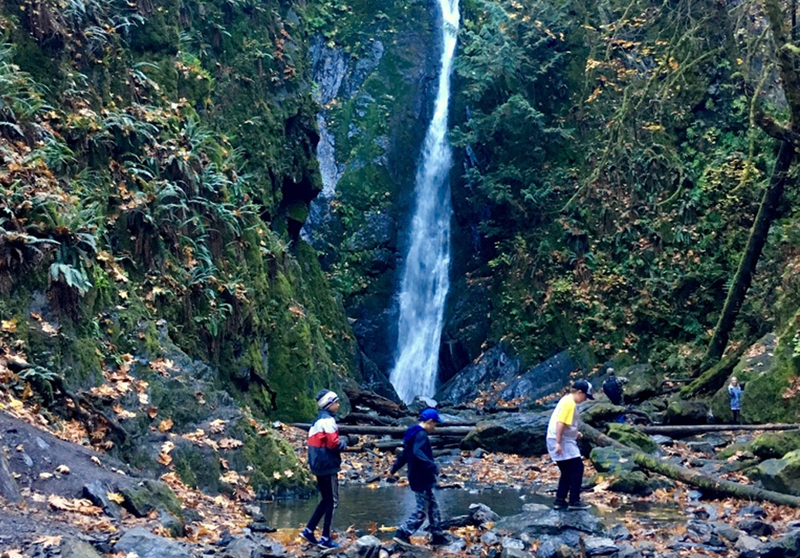 Goldstream Provincial Park is a perfect family excursion. The old growth forest has wide trails along the river and you're sure to spot wildlife. If you cross under the highway through the tunnel of the dried up stream, you can keep following the old river bed and reach the spectacular waterfall. If you're up for a decent incline, you can access the trails from this side to get to the trestle. Tip: The best time to go is late fall when the salmon are running! Thousands of Chum, Coho and Chinook make their journey back to Goldstream every year, and it's truly a spectacle to watch. For only $5, you can play as many games as you want, for as long as you want! Right in downtown Victoria is the amazing Board Game Cafe, with over 800 games to choose from, the 'game experts' are very helpful at selecting a game perfect for your group. They also have great coffee, snacks, and the milkshakes are to die for. Another fabulous and free family activity to do in Victoria is taking a walk along the Ogden Point Breakwater. For those who don’t know the Breakwater is a narrow walkway jutting out 800m into the ocean. With a lighthouse at the far end we think this walk is as picturesque as it gets! 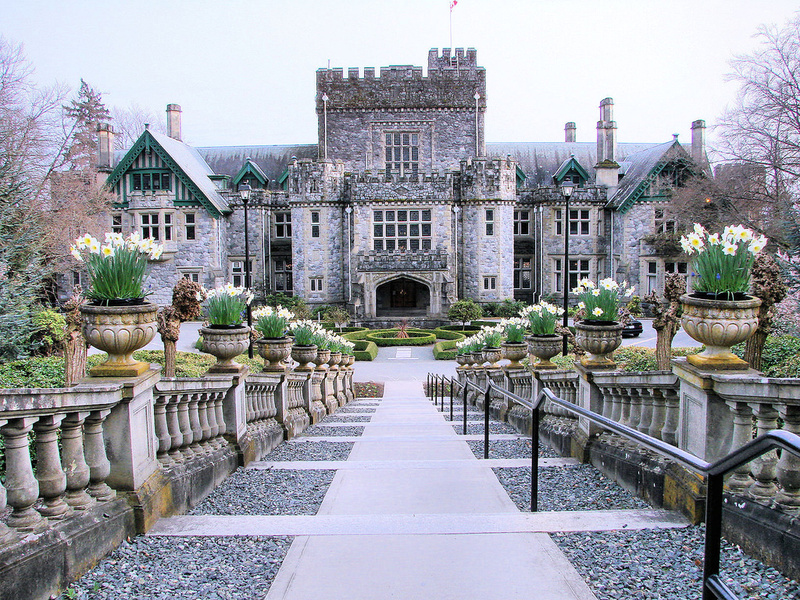 Hatley Castle is a true beauty and is bursting with rich history. Did you know it has also been a site for many movies and TV shows? The most well known being Deadpool and X-Men. So if you have a child or tween who loves action movies, they might think it's cool to see this place in person. During the shoulder season there is complimentary garden access, so you are free to self explore! However, there is a donation box inside the lattice entrance gate should you wish to give a friendly donation. Make sure you read up on their website so you can share the history with your kids as you walk through. Islanders often overlook or forget to stop by the various Greater Victoria Public Libraries with their children. On a cold spring day this is the perfect place to pick out a new book. Some libraries even put on toddler story time. Hint: while your kids are occupied you may manage to snag a few minutes with the free magazine rack. Score! Of course, you can also visit another recreation centre near you. But since here in Victoria we rarely get the chance to skate in the great outdoors thanks to our mild climate, you can head indoors to get your fix! Although this isn't technically under $5, it's the best bang for your buck you'll get! 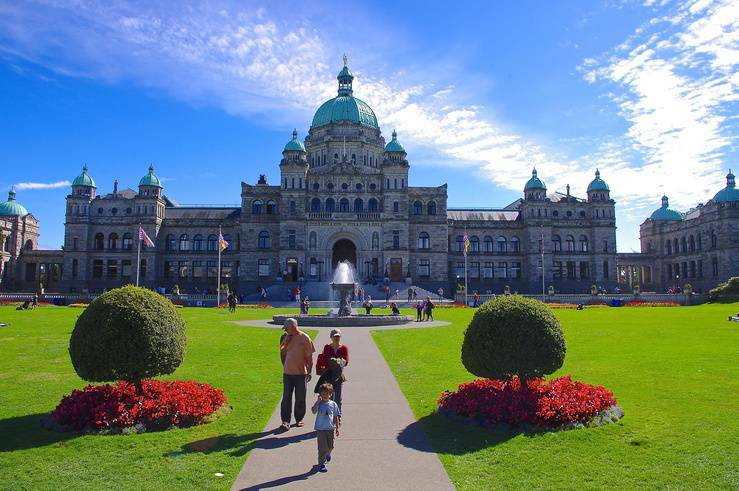 Now on two weekends, February 22nd-24th and March 1st-3rd you can visit Victoria's most popular attractions on the cheap. If you get your passes before Valentines Day they are 2 for $25. This will get you in for free to Butterfly Gardens, Sidney Museum, the Butchart Gardens, Miniature World, Fort Rodd Hill, Tours, and much more! Get tickets and more info here. If you enjoyed these ideas, there's even more where that came from (just not all are necessarily under $5). Head to our 101 things to do in Victoria with kids blog post, you'll never need another list again!